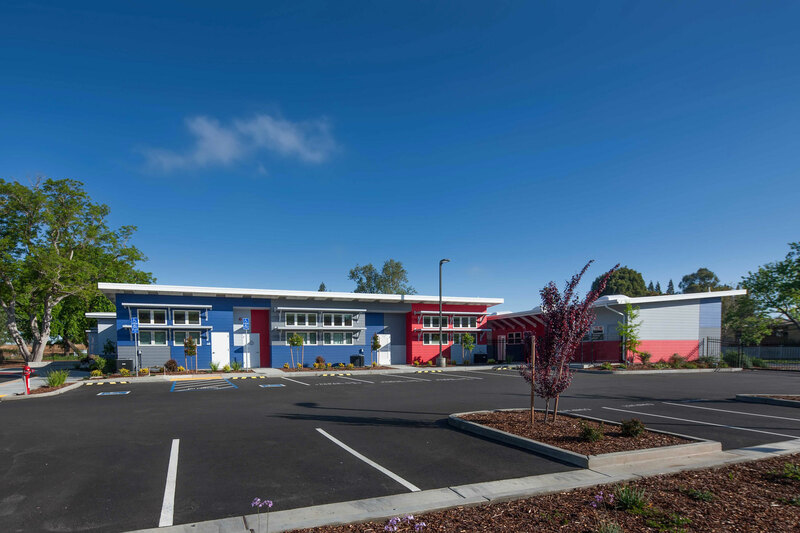 Brookfield Elementary School is an independent, co-educational, college preparatory private elementary school, serving children in preschool through eighth grade. 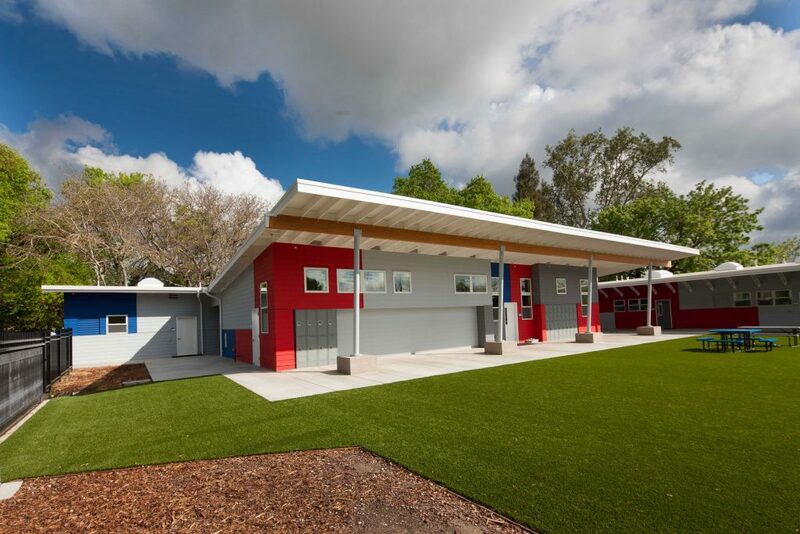 Phase 1 of the design-build, 5-acre campus consisted of 21 classrooms, computer labs, an art and music room, as well as, ancillary and support spaces, a courtyard for school ‘community events’, a regulation soccer field, turf and play structure and activity areas, student lockers, staff parking, curb-side drop off and associated site work. Uniquely, the campus sustains completely on natural daylight to illuminate the classrooms and was designed with the goal of becoming a ‘net zero’ facility. Very large, existing, heritage trees on site were preserved and incorporated into outdoor ‘rooms’ that serve dual purposes for playing and teaching. 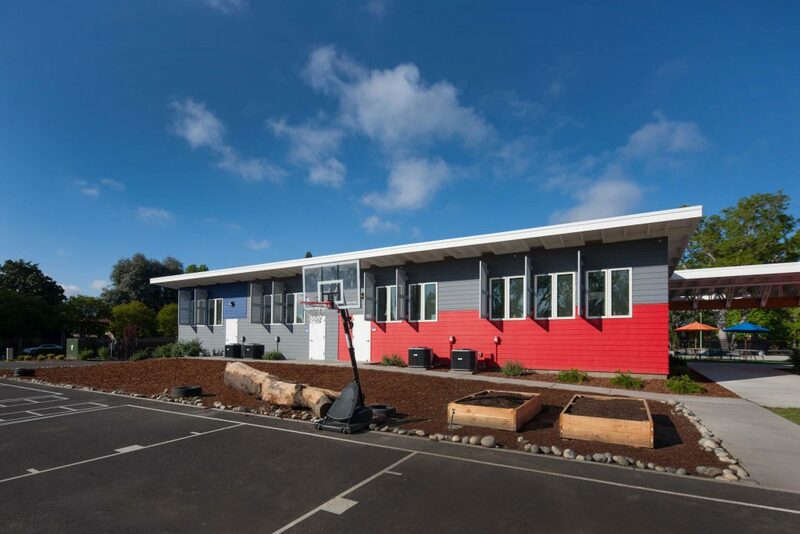 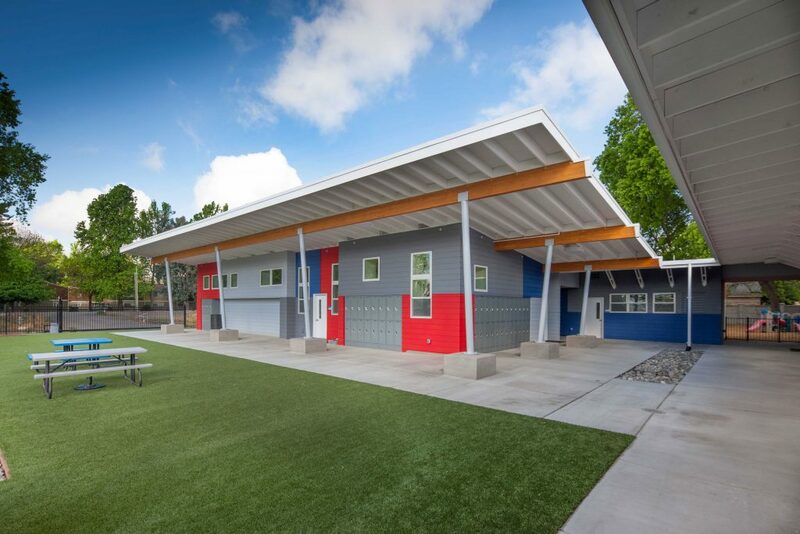 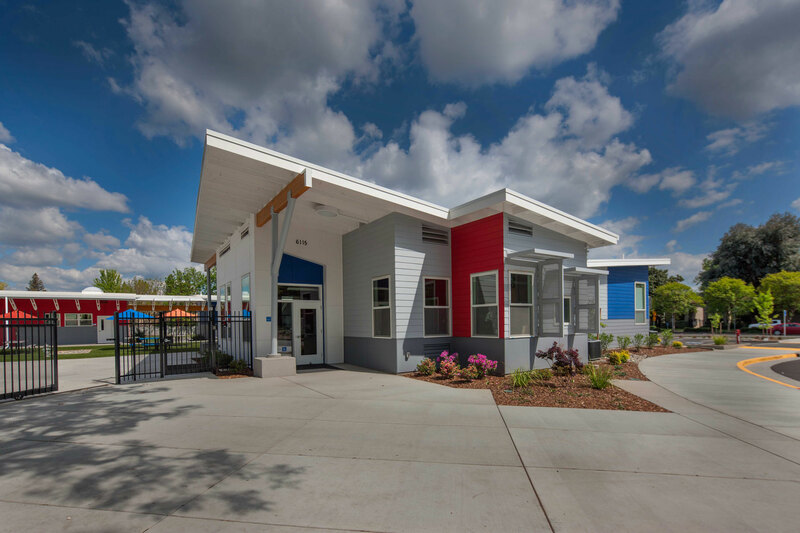 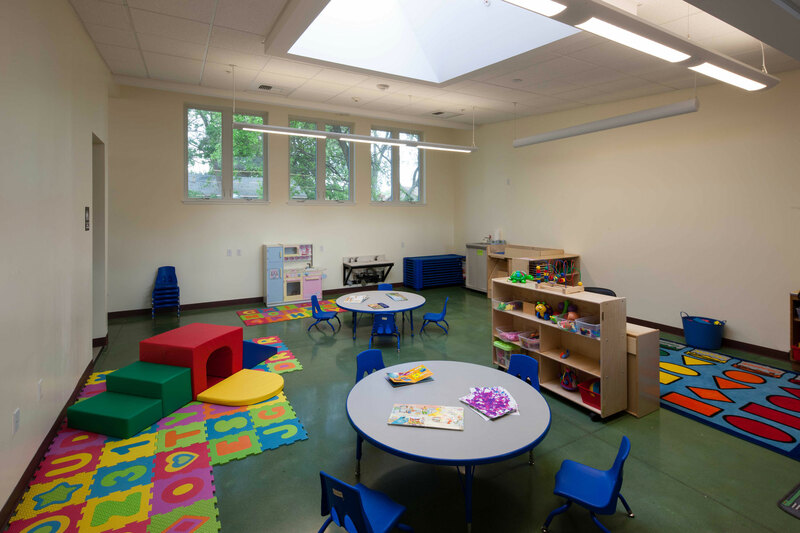 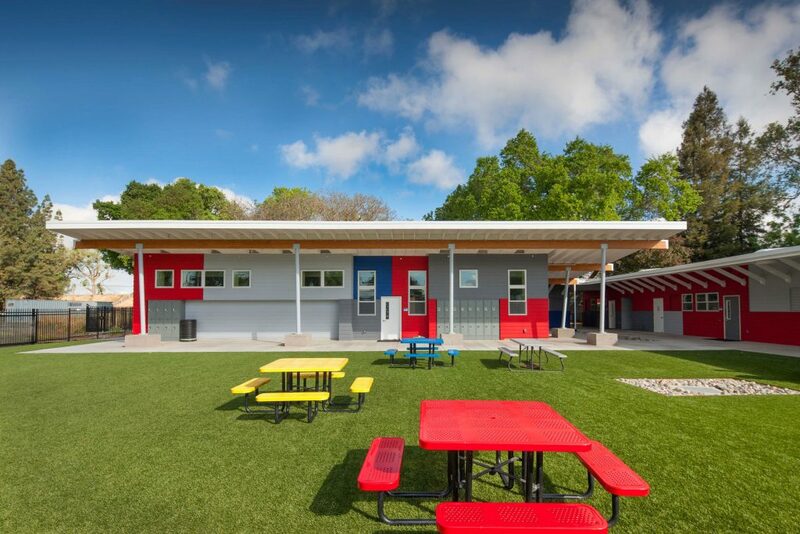 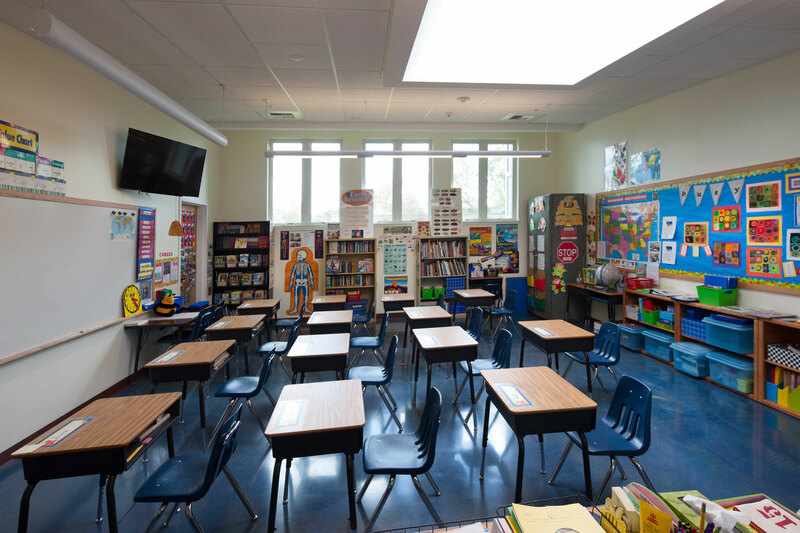 Mogavero Notestine Associates created a site and building master plan that separates grade levels while demonstrating sustainable site development and building design practices, fostering student stewardship and a ‘green’ education with the goal of becoming a ‘net zero’ facility. 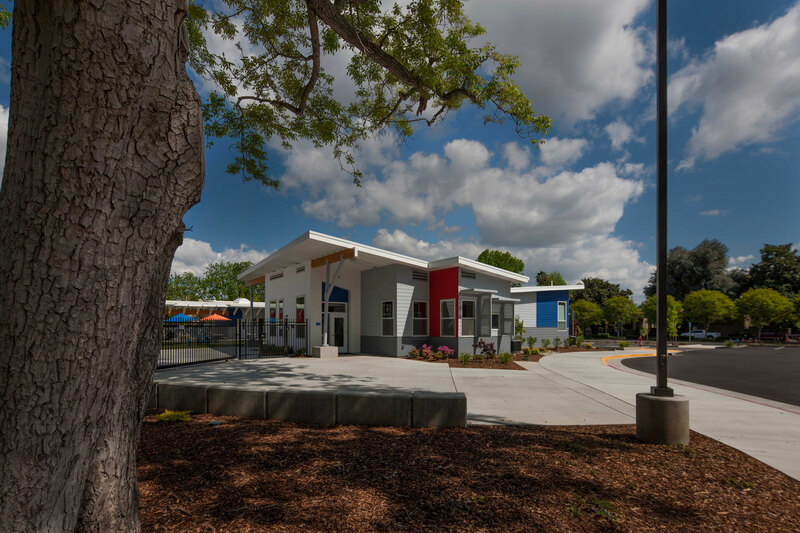 Site circulation is balanced with efficient parking and safe student drop off areas, coupled with sidewalks that are separated from the street as well as bike parking within the secure site.